Wayah Bald Lookout. Photo By Serge Skiba. 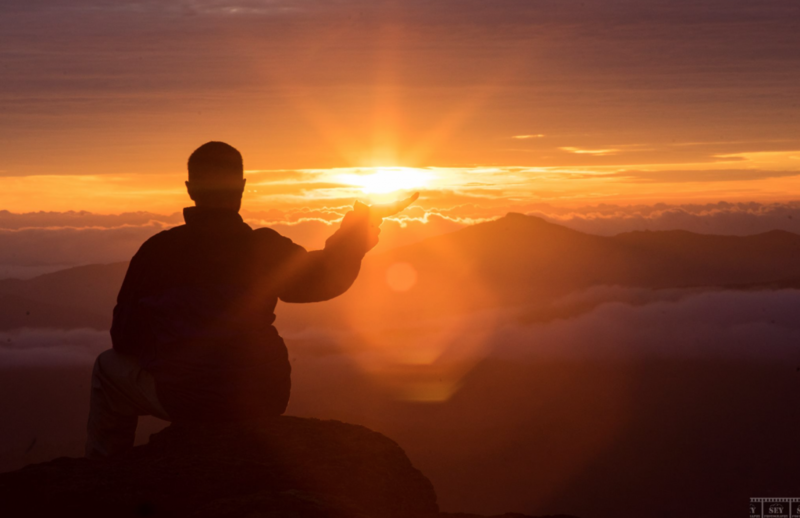 Few things cap off a long day in the mountains like catching the perfect sunset from your favorite summit. 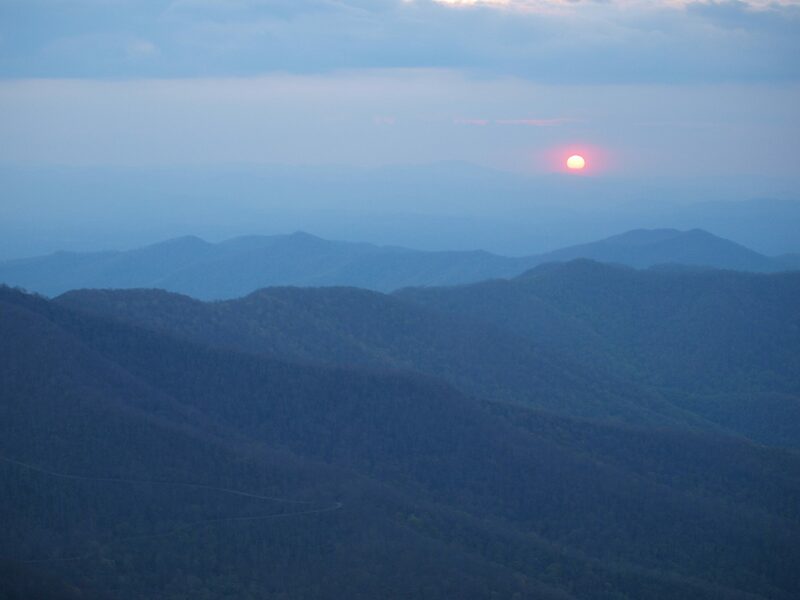 The Blue Ridge is known for spectacular sunsets and Western North Carolina is no exception. From the high country of Boone and Blowing Rock to the far western reaches of the state where the Smoky Mountains meet the Nantahala National Forest, Western North Carolina is renowned for its breathtaking viewpoints, most of which make for an ideal spot to catch an Appalachian sunset. Read on to find out about seven of our all-time favorite sunset summits in Western North Carolina. This mountain sits in the Great Balsam Range within Pisgah National Forest and is accessed via a relatively easy hike on the Art Loeb Trail. Named for Gaillard Stoney Tennent, who is said to have organized early hiking in Western North Carolina, Tennent Mountain falls into the grassy bald classification of southern mountains, meaning it’s completely devoid of all tree growth. 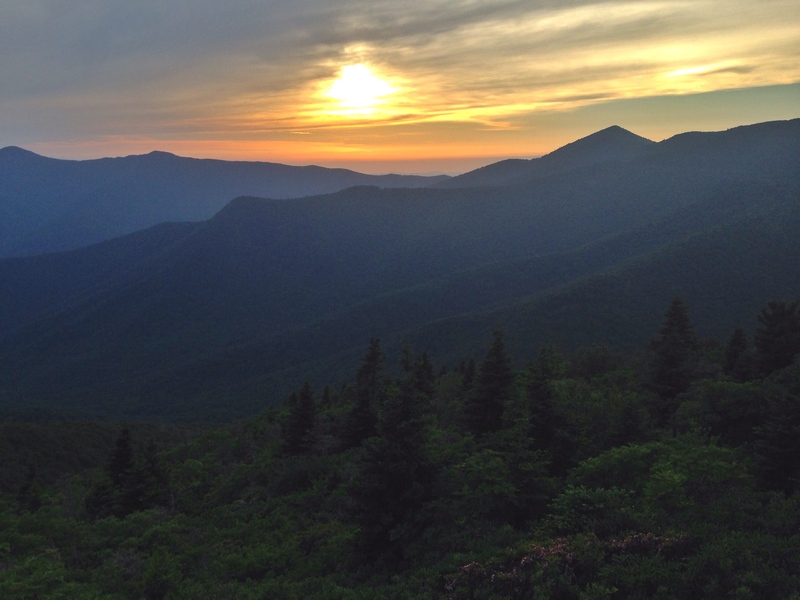 Some biologists disagree about the origins of grassy balds like Tennent Mountain, but one thing’s for certain—they make for ideal vantage points from which to view sunrises and sunsets. Learn more about the location of Tennent Mountain here! Photo Courtesy of Steve Yocom. 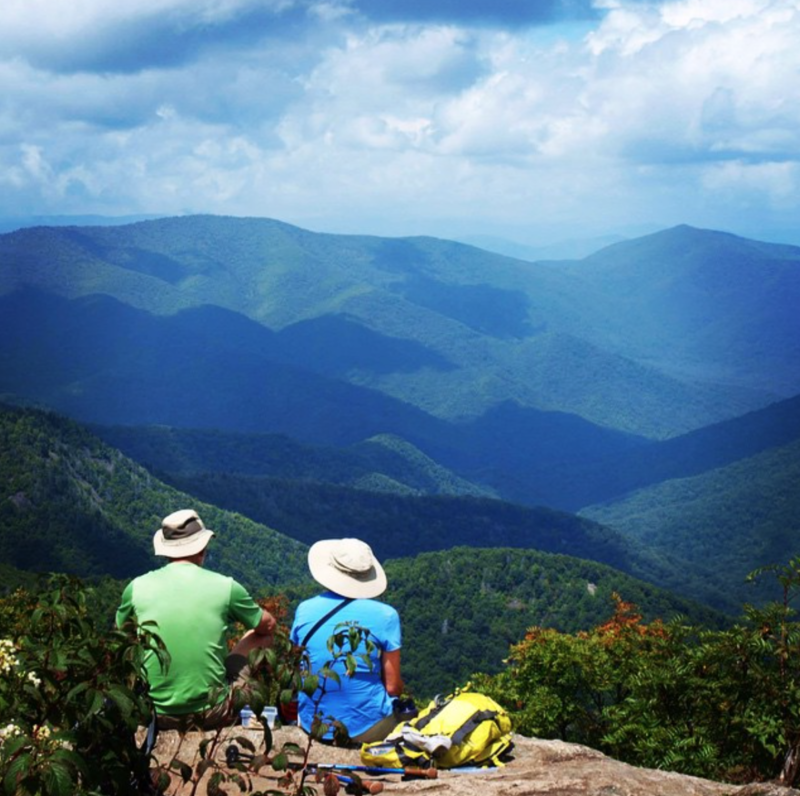 One of the many go-to spots off the Blue Ridge Parkway, Craggy Pinnacle requires a mild uphill pull (1.4 mile roundtrip) but rewards hikers with stunning 360 degree views of the surrounding mountains and valleys. 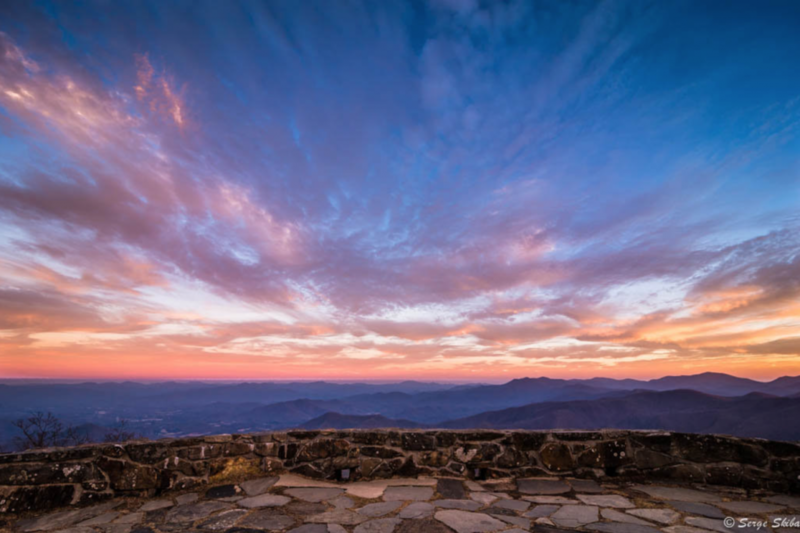 This 5,982 foot summit offers views of Mount Mitchell, the tallest peak east of the Mississippi, to the north, the winding Blue Ridge Parkway to the south, and the Asheville water reservoir to the east. To get there from Asheville drive north on the Blue Ridge Parkway for about 18 miles. Find out more here. Also located off the Blue Ridge Parkway, the Blue Ridge Pinnacle (or Pinnacle as it appears on most maps) is a lesser known gem that offers unrivaled views and—because it has no apparent signage and is omitted from most guide books—a sense of mountain solitude. To find the trail head for the Blue Ridge Pinnacle continue past the Craggy Pinnacle parking area and beyond the entrance of Mount Mitchell State Park until you see a yellow gate blocking an old forest service road on your right hand side. This is the old Mount Mitchell Toll Road. Park wherever you can and pick up the trail head on the other side of the yellow gate. It will lead on a steep jaunt to the wide-open, rocky summit of the Blue Ridge Pinnacle. Click here for more info. This grassy bald can be found in the Roan Highlands near the border of North Carolina and Tennessee. 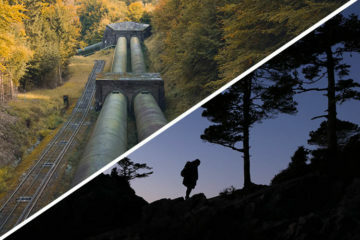 It is traversed by the Appalachian Trail and, like many of the sunset summits on our list, provides a stunning 360 degree panoramic view of the surrounding landscape. For detailed directions click here. Rising high above the East Fork Pigeon River Valley at an elevation of 5,340 feet, Frying Pan Mountain is yet another lesser known summit easily accessed from the Blue Ridge Parkway. 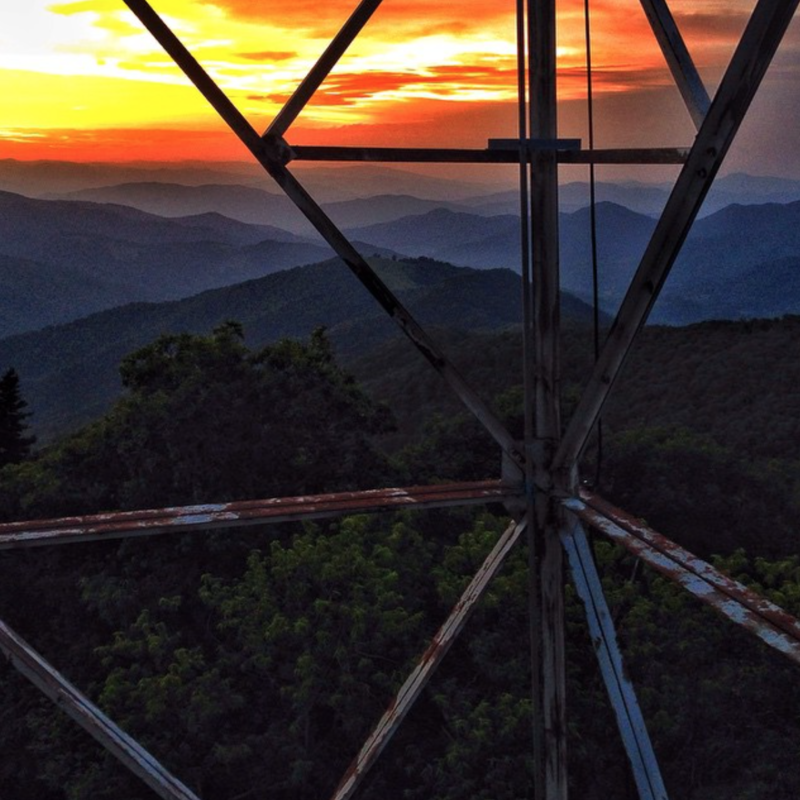 From the summit, hikers are afforded spectacular views of Cold Mountain and the Shining Rock Ridge, but what makes frying pan stand apart from its Blue Ridge counterparts is the 20th century fire lookout tower located at the summit. Though decommissioned in the 1990s, this 70-plus foot lookout tower remains open to the public. Learn more here. Sam Knob is the only 6,000 foot sunset summit on our list. 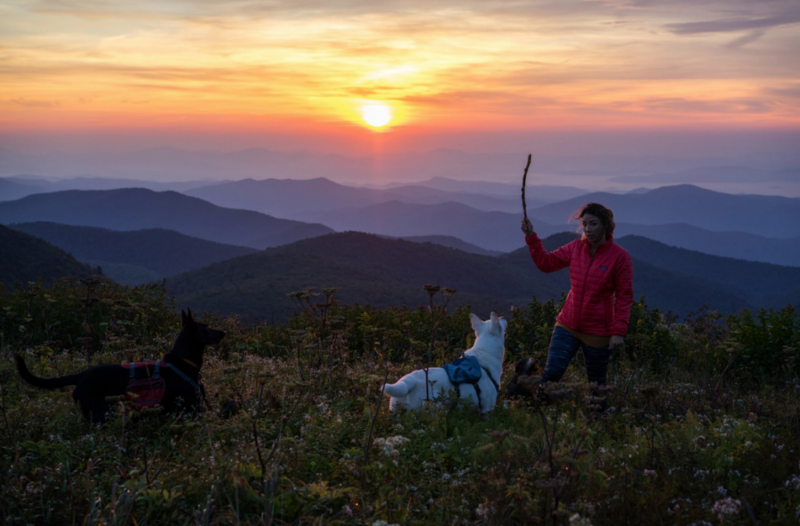 Accessible year round via the Shining Rock or Middle Prong Wilderness, this mountain is known as one of the most outstanding vistas in all of Western North Carolina. Because the summit was logged bare at the turn of the 20th century, Sam Knob is home to a subalpine environment, perfect for sprawling views of the mountains and valleys below. Learn more here. At an elevation of 5,342, the Wayah Bald Lookout is perched high in the mountains of the Nantahala National Forest near the town of Franklin, North Carolina. The stone fire tower atop this summit was built by the Civilian Conservation Corps in the 1937 and decommissioned sometime in 1945. Conveniently situated at the intersection of the Appalachian Trail and the Bartram Trail, the observation tower offer sprawling views into the Smoky Mountains of Tennessee and the Georgia Blue Ridge. Learn more here. Photo Courtesy of Serge Skiba.